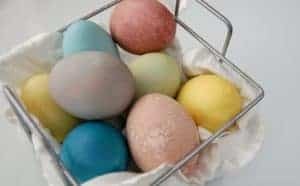 There once was a time when everyone made their own skincare products or if they did buy them, they bought products that were made just like homemade. Things were simpler back then. You didn’t need to read labels or wonder what the effects would be if you tried a certain brand. Today, we have so many skincare choices and that’s great. It means that we can get skincare products that best fit what our individual bodies need. However, with modern advancement comes concerns. We now have to read labels, we now have to question if the ingredients in our soap, shampoo, or makeup will possibly do us harm. 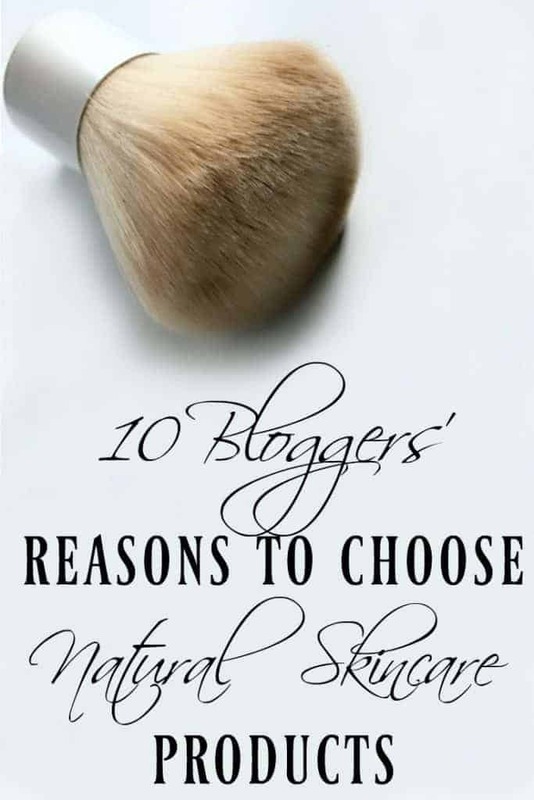 I will be giving you my reasons on why I prefer to choose natural skincare products but I also thought it would be great to get the input from other natural bloggers on why they think it’s important to choose natural products for our skin. 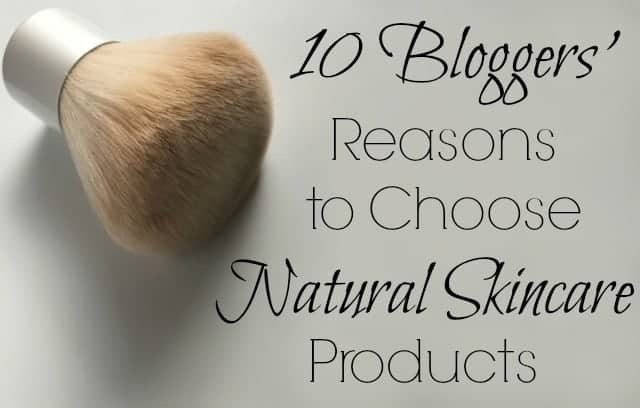 What are my reasons for choosing natural when it comes to skincare? Our bodies absorb what we put on it. 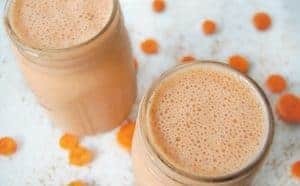 It might not absorb everything but a good deals gets sucked into our skin and can mess with how our bodies are supposed to perform. These chemicals might not effect everyone or everyone in the same way but I would rather not take the chance if I know there’s a possibility that my body could be harmed by some of these chemicals. It’s often less expensive to use natural skincare products. Now this defiantly depends on what type of products you are buying. If you are buying big brand, organic products then maybe it’s not going to save you money. 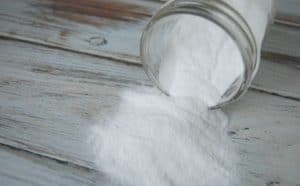 However, there are many skincare products that you can make and many use ingredients that you already have around the home like coconut oil or cornstarch/arrowroot. Natural skincare products not only avoid the bad ingredients but they often contain ingredients that are going to benefit your skin. Many natural makeups include natural antioxidant ingredients, you can add certain essential oils to your hair care so that you can customize to your hair’s needs, you can moisturize your face with the oil that is best suited for your skin type. Are you ready to take the dive and switch to natural skin care? Here are just a few great natural skin care recipes from the above quoted bloggers. Once you click over to their sites, don’t stop at just that page; all these bloggers have tons of amazing natural beauty tips and recipes! I'm definitely going to check these recipes out! I've resorted to just not wearing makeup at all the past couple of months because researching natural products became so overwhelming. I can't believe some of the stuff that's in all that store-bought garbage. Having a concise list right here is super helpful! Thanks for this great article! It's so important for everyone to understand the importance of avoiding dangerous substances in skincare. And, all the options available for all natural skincare. I was just thinking about which gift I could get my wife for her birthday and these natural skin care products sound like a fine idea. As you’ve mentioned, they are quite beneficial to the skin while still being less expensive to use than other skin care products which might contain chemicals. That is a deal maker for me and which is why I’ll try searching for some of these to get my lovely wife. Thanks!